OnDeck Australia, an SME lender, has closed a A$75mn asset-backed revolving credit facility (RCF) with the US branch of Credit Suisse. 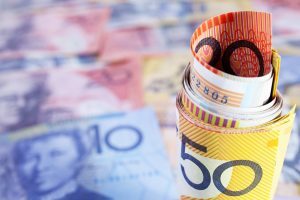 The capital will refinance its current loan book in Australia and fund future originations. It will mature in June 2020. A subsidiary of OnDeck Australia will be issued loans from the RCF. In turn, it will then purchase small business loans from OnDeck Australia. This revolving pool of SME loans will act as collateral for the RCF. OnDeck Australia is a subsidiary of the US company OnDeck Capital. The parent company has also borrowed from Credit Suisse in the past: in December 2016, it closed a similarly structured US$200mn RCF with the bank. Meanwhile, OnDeck Canada has recently opened a C$50mn RCF with Crédit Agricole, half committed and half available at the discretion of the lender. According to Cameron Poolman, OnDeck Australia CEO, the online SME lending market in Australia is growing faster than its US equivalent did at a similar stage of development. “We believe there will be a flight to trusted and quality providers. We expect to see fewer, stronger players as the Australian market consolidates over time. OnDeck Australia aims to be part of that market,” he says. The market has long been dominated by the big four banks – ANZ, Commonwealth Bank of Australia, National Australia Bank and Westpac. However, successive scandals have plagued the established players, including CBA’s damaging money laundering impropriety, which saw it hit with a record fine this year. Challenger banks and non-banks have been appearing, hoping to take advantage of a dissatisfied small business base. Judo Capital, a new bank with an ambition of servicing Australia’s underbanked SME sector, launched in March. In a statement, co-founder Joseph Healy said it was avoiding “increasingly centralised functions and cookie-cutter lending policies”. Other banks are also making inroads to the big four’s slice of the pie. Recent research shows that HSBC recorded a 3.5% growth in market share last year, while Bank of Queensland recorded an 11.1% growth in market share, albeit from a low base. The study from East & Partners showed that the average wallet share allocated to primary trade finance providers fell last year by 4% per year to 67.2% due to customer dissatisfaction with product and service lines, namely trade loans, e-trade solutions, value for money, pricing competitiveness and global representation. The post SME lender OnDeck Australia secures credit facility from Credit Suisse appeared first on Global Trade Review (GTR).